This 4-episode documentary series is going to be broadcasted from September 1st in ‘Nuestras Crónicas’, a program of the Argentine Public Television. Imágenes de la serie Glaciares: los guardianes del agua. Foto: CONICET Documental. 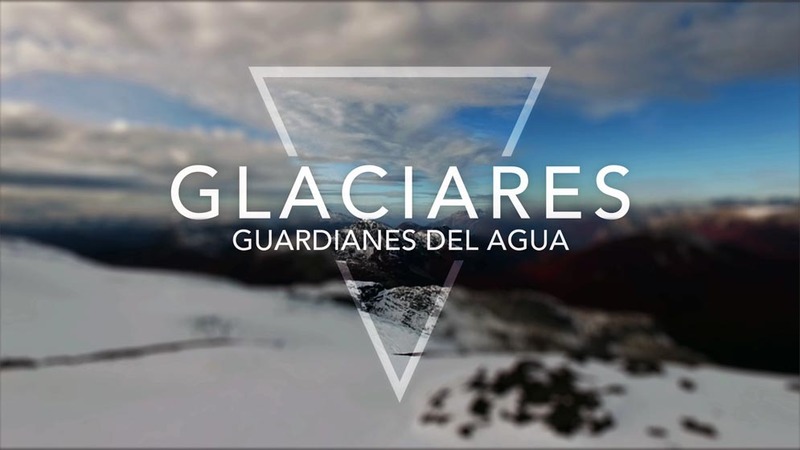 The most recent work of the audiovisual production of the Council is the Inventario Nacional de Glaciares [Argentine Inventory of Glaciers], which consists of the study of satellite images, field work in the most dangerous areas of glaciers and under the most adverse weather conditions. The study was conducted by CONICET’s researchers at the Instituto Argentino de Nivología, Glaciología y Ciencias Ambientales (IANIGLA,CONICET-UNCu- Mendoza) . The series is going to be broadcasted every day from 11.00 to 12.00 am in Nuestras crónicas’, a program of the Argentine public channel, TV Pública. Only about 3% of the water of the planet is fresh, essential for life. Three quarters of that percentage is in solid state, for instance in the glaciers. Those that are located at Patagonia and Tierra del Fuego had existed for at least 100 thousand years. However, its likely that many of them disappear during the 21st century as the temperature of the planet has increased four times more in the last 25 years than in the last 150. Argentina was a pioneer in passing in 2010 the Law 26.639 `Régimen de Presupuestos Mínimos para la Preservación de los Glaciares y del Ambiente Periglacial´, which establishes the minimum requirements to protect these environments to preserve them as strategic reserves of water resources for human consumption, agriculture, water supply for watersheds, biodiversity protection, source of scientific information, and tourist attraction. It is about the general setback of the glaciers and why this inventory is the only one in the world. Thus, we can observe the study conducted by the scientists and how they analyze the satellite images to identify the amount of ice bodies that exist at the Cordillera Argentina. In this part, we get to know the Argentine history of glacier inventories. We will learn more about the studies of the researchers, the ‘detectives del hielo’: the identification of covered, discovered and debris-covered glaciers through different techniques. Furthermore, we will be able to see the preparations for the expeditions in which the laboratory work is going to be compared with the field work. We are ready to accompany the scientists to the three Argentine glaciers. Through the installation of meteorological stations, experts will conduct the study of the mass balance through a method of beacons and wells to know the relationship between the glaciers and the climate. We will learn about life in the expedition and the conditions of altitude and temperature researchers have to deal. In this episode the scientists reach the most dangerous stage of the work field: stratigraphy. We will accompany the team to the highest areas of the Glaciar Frías in the Cerro Tronador. Then the experts will conduct a general balance to arrive at the first conclusions of the Argentine Inventory of Glaciers.